Recently, I’ve been inspired to start bringing back library centers and more flipped classroom style learning in the library. 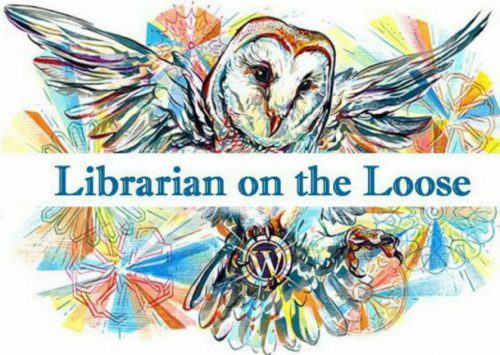 I did library centers and more flipped classroom instructional videos earlier in my career but that style of learning in the library kind of fell off my radar when we lost our library clerks a few years ago. Now that I have a clerk again, we’re through the bulk of her training and, have settled into a smooth working routine together, it’s felt like a great time to start bringing back those centers and flipped classroom instructions again. With those goals fresh in my mind, a few apps stood out to me during this Cool Tool exploration. Somehow, I had never heard of Apple Clips before this tool! I love that it has just enough options to make a video look splashy but doesn’t have all the bells and whistles and options to distract and overwhelm me. It’s also simple enough that I think students could quickly get a handle on it and make short videos of their own but again, it won’t overwhelm them or give them so many choices they keep tinkering and struggle to finish their project. Another thing I loved about Apple Clips was the option to have captions display what you are saying when you record a video of yourself. This is a great, easy way to sneak in reading comprehension skills since it gives students the chance to hear and see the words at the same time! I tested it out during a few practice videos and it was surprisingly accurate! We already have this app on our school iPads but I had yet to use it myself. Like Apple Clips, I like that it has enough to make a video look slick and cool but not so much that it’s difficult to use or time consuming to learns the ins and outs of creating with it. I love the ability to not only do voice overs for selected images but also zoom in and out of them and add extra effects. I’d love to app smash these two apps together! I’d love to take pictures of a book and record myself reading it with the Shadow Puppet app and then, upload that video to Apple Clips and use that app to add in a cool introduction and closing. As part of our unit on the 3 Apples Award, I’ve wanted to break the kids into groups and have one center where they watch/listen to the books on the iPads. I normally use YouTube videos for this because there are so many wonderfully produced ones out there that remind me of my Reading Rainbow days but, YouTube can be a sticky wicket. Every now and then you have a student who says they aren’t allowed to watch YouTube. It also opens up the possibility that some of the students will migrate away from the video they are suppose to be watching and find other things to watch instead. And of course, there are the issues of inappropriate content in videos aimed at children that seem to pop up every few months. Most of the YouTube issues can be circumnavigated by closely monitoring the students but, one of the things I like about doing centers is it gives me a chance to work intensively with a smaller group of students while the other two groups do a relatively self-guided lesson on their own. Having to intently monitor the YouTube viewing center takes away my chance to work hands on with the other groups. I think app smashing with these two apps will give me the ability to make my own snazzy, Reading Rainbow style videos for my students and upload them to the library websites via Google Drive and thus, cut down on the temptations to go elsewhere on YouTube! I’d also like to make some short, videos explaining library vocabulary like author, illustrator, and the parts of a book to work into library centers for next year! Instead of using our trusty old paper grading rubric when we study the Caldecott award and do our mock Caldecott, I think it would be great to have them use Shadow Puppet to take pics of certain pages of the book and record themselves explaining things they liked and didn’t like about the illustrations. Apple Clips could be used as an assessment tool during some of our centers. Students could record themselves identifying the parts of a book or explaining what an author does (and so much more!). I always love this Cool Tool-it’s so fun to explore new to me apps as well as find fresh, fun ideas for apps we’ve been using for years. I’m particularly excited to have found not one but two easy to use apps for myself and my students to use as we start doing more and more center based library instruction!